A traditional hand forged door latch. 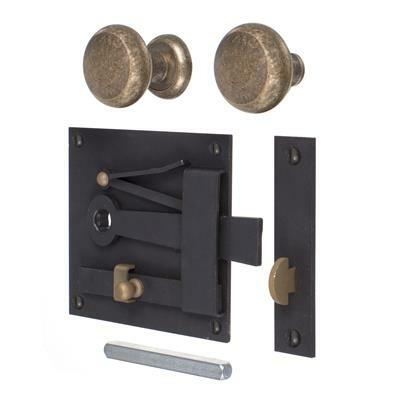 The handle and keeps are cast in solid brass whilst the forged plate and arm are finished in beeswax. 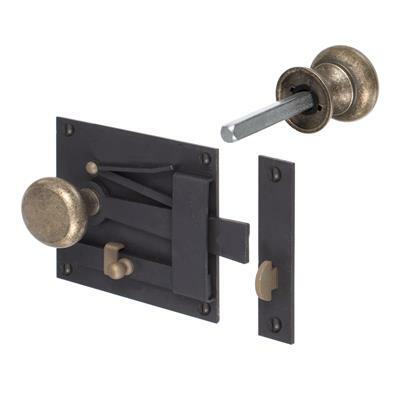 Supplied with one latch and two door knobs. 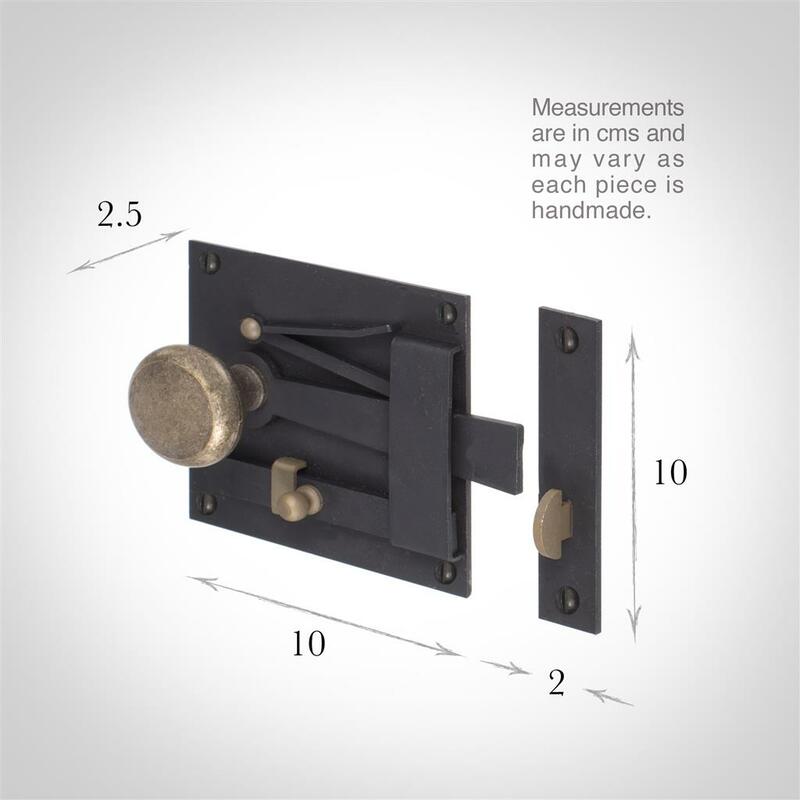 The latches are available for the left or right side of the door, and more information can be gained from reading our handing guide. This unique look is hand-crafted by our blacksmiths, highlighting the skill in their designs and their ability to craft latches that suit both modern and traditional properties. This contemporary look offers a practical, stylish alternative which enhances sophistication and luxury in your home. The combination of solid brass and Beeswax creates a rustic effect that can be contrasted against pastel colours to ensure a timeless elegance. We do not recommend the beeswax finish for bathrooms or outdoor use, as it may rust in a humid environment.